In 2012 we were invited to compete by Runnymede district council to design a sculpture to commemorate the famous olympic cycle race our design was accepted and the work began. 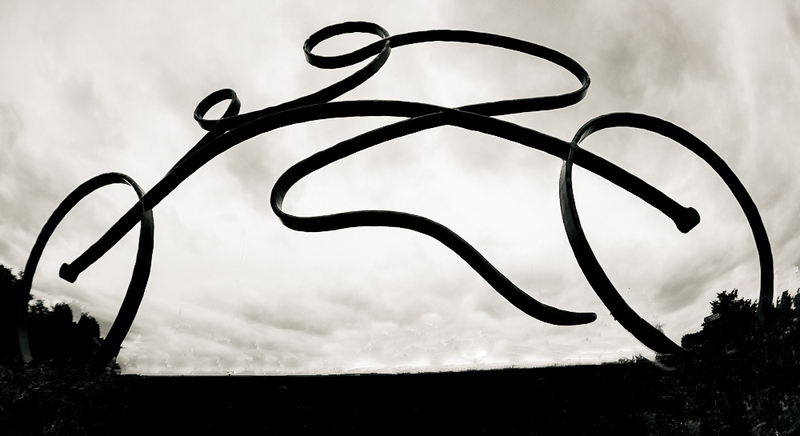 The sculpture was formed using heavy 40 mm round section forged flat creating the lines of the cyclist and cycle finished in a graphite grey colour. Hand made by Andy Quirk and Graham Hart.